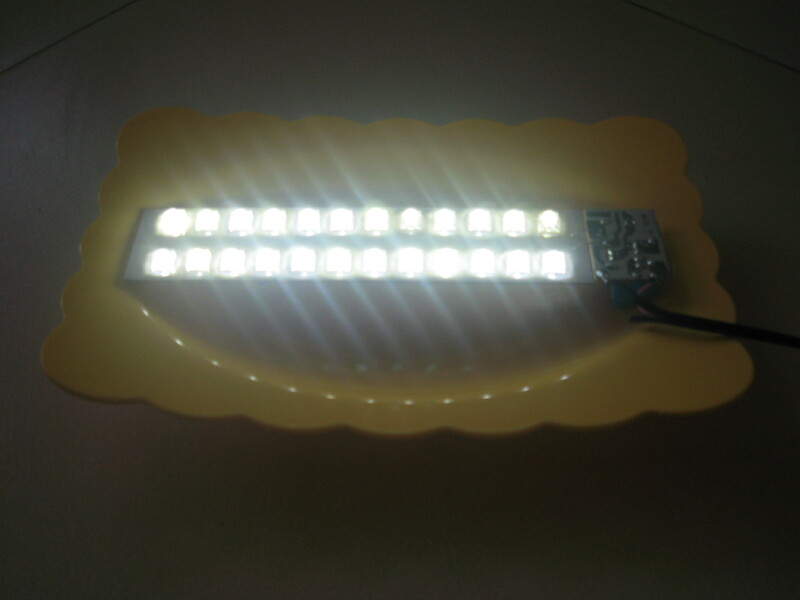 This is a modified version of the circuit Super bright LED Night Light published here. This circuit is submitted by Mr. Seetharaman and its full credit goes to him. 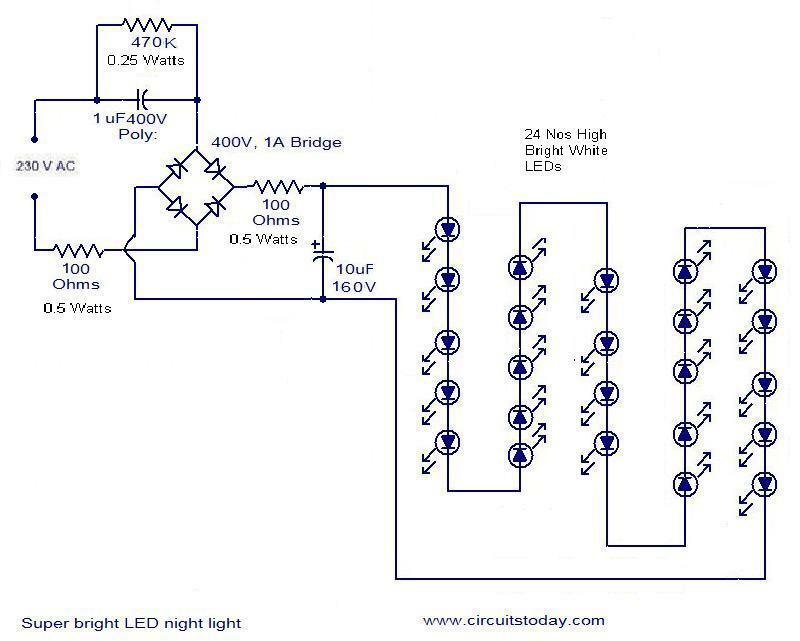 This is the circuit of a well tried and reliable 230 Volt AC mains operated 24 LEDs (super bright 50mA LEDs). While practically compare the brightness between this circuit and 11watts tube, the LED light is much better. The layout is made in such a way, you get uniform illumination. A photograph of the cicuit is also given in this post. would like to replace SMD LED in place of DIP LEDs. Pl provide the spec for the same. Sir(Mr. Seetharaman),First I would like to thank you for sharing such a great LED circuit without used transformer.I have a question as following.Could you kindly please advise. Q1- Instead of white Leds,if I want to use Blue/Pink Leds do I need to change any specific component value. component value in order to stand for more Leds.Kindly please advise. 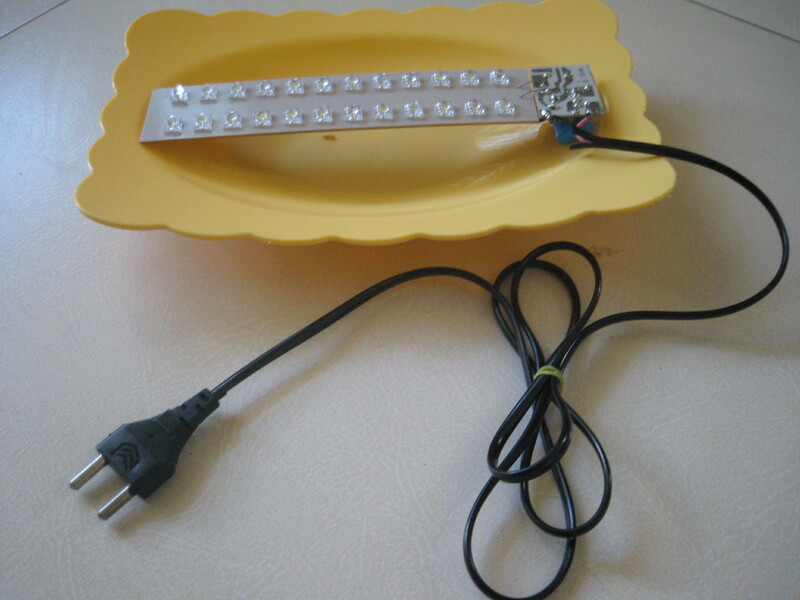 I’m about to use a high power (50W) led module with specifications: Input voltage 32-26 volts, forward current 1750mA. My mains is 230VAC, 50Hz. How type circuit shoud me for me? Sir, please tell me that how many LEDs can I connect with the CFL driver (15/22watt). Thanks in advance! 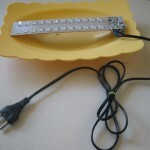 i have a 3W LED combination (total 6 LEDs 3 series/ 2 parallel combination). i want to glow this LED by my own circuit. I tried to use 1mega ohm R with 0.60 uF C, R2 is 1K ohm 2W. 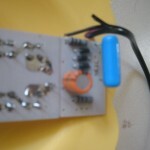 at the output of rectifier i attached LED. i have brightness issues i.e getting aprox 225 Lumens at half foot length and i require aprox 1000 to 1500Lm. kindly help me to sort out this problem as im getting 1500lm at constant current drive. 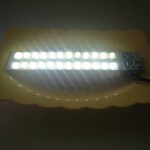 “hi i want to glow more than 500 white ledâ€¦ is 1.2uf is enough..
wat r the changes in components. “Sir I wish to create serial lights for Diwali. Using the calculation shown Iâ€™ve calculated the required. Please check if the below specifications would be okay with yours above circuit for 220volts supply. After few days the 51 ohm rezistor burn out. The rezistor is a smd. If I put 51 ohm/1w the leds start to burn. Can you tell me what is wrong on this circuit? sir, i tried 25 led series connection in which i found that when dc side accidently open & close it damages all led , why this happen ? any solution for that ? I’ll try to explain in simple way, it happens like that because when you disconnect LEDs, that current that is let through mains 230V capacitor doesn’t get used and thus it charges dc side to mains voltage level, when you again connect LEDs this high voltage damages them. Better don’t disconnect it in this way and if it still happens then you could use a fuse just after the DC capacitor. is it compulsory to put 470K resistance. can i reduce the value what will it happens or is it unsafe to change. and can i use 1000uF 100v instead of 10uF 160V. In my project I didn’t use neither 470k resistor nor 100 ohm resistor and it works already for a year, as far as I understand they are for protection of LEDs when capacitor short circuits or opens. The bigger capacitor you will use in DC side the smoother light will be, less flickering, I use big capacitor because I film under that light and on camera it’s quite visible when light intensity changes due to 50Hz mains frequency. i have done this with 1W resistance is it any problem to do.